A majority of people still rely on either cable or satellite-based television services for watching live sports or for streaming. Surprisingly there are many other reliable services that can be used for free live sports streaming. So these are some of the best free sports streaming sites that are worth checking out. 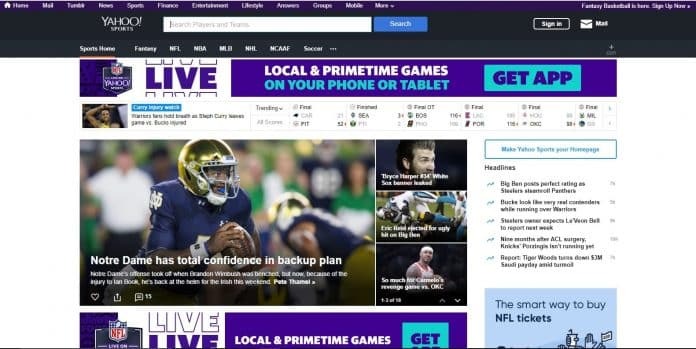 The first and one of the most popular free live sports streaming site on the list is ESPN. You can easily stream many major sports on ESPN and a majority of content is available in HD. ESPN allows users to watch both live sports streams and replays. Moreover, ESPN also offers detailed updates about ongoing sports events. 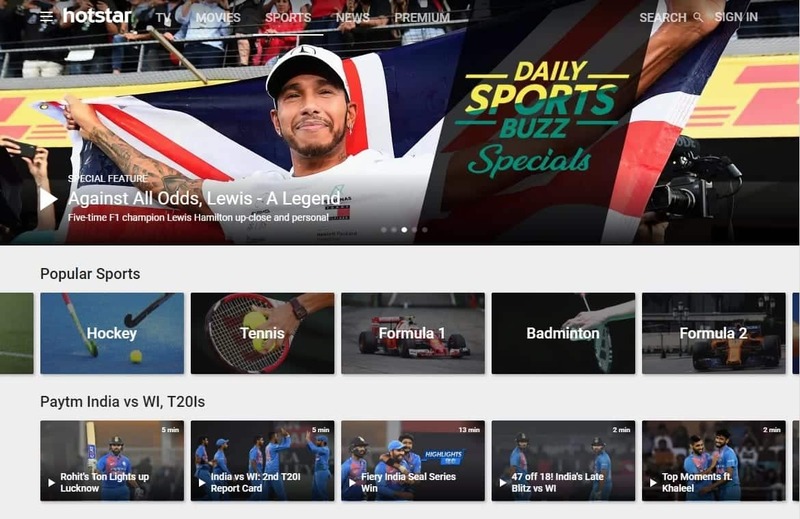 The next most reliable website for free sports streaming is HotStar. This free sports streaming site has gained immense popularity due to its many nifty features. Well, there’s no need of signing up for the service and you can straightway watch live streams and replays of your favorite sports. HotStar is very prominent in the Indian region. Different sports like football, cricket, table tennis, hockey, and many others have dedicated sections on Hotstar. 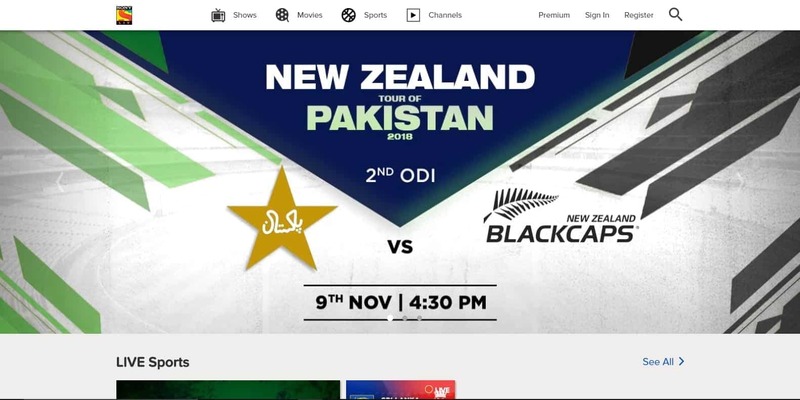 As for downsides, the free account on HotStar delays the live stream by a few minutes. 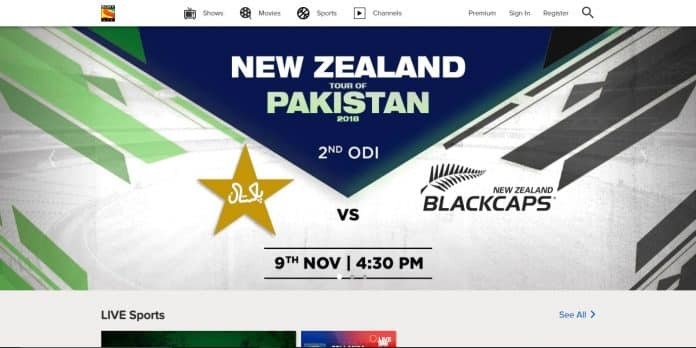 Overall, HotStar is a perfect sports streaming site that offers HD content. Laola1 is a popular live sports streaming website that is based in Austria. You can watch Football, Ice Hockey, Motorsports, Table Tennis, Handball, and many other sports using this free sports streaming website. Laola1 has a clean UI and the video player is very well developed. Apart from live streams Laola1 also displays score updates and schedules for different sports events. As for downsides, a majority of content on Laola1 is based on sports events in Austria. That said, you can still enjoy many sports events happening in your region. VIP League is another perfect website for live sports streaming. Unlike, the above-mentioned sports streaming sites VIP League is available in around seven international languages. VIP League offers a plethora of sports that are very well categorized into different sections. As for downsides advertisements on VIP League may annoy some users. In addition to that, you have to sign-up with a free account to watch live sports events on VIP League. Overall VIP League is an impressive website and its nifty features definitely outway the cons. As the name of this website suggests it helps users to stay updated about both national and international cricket events. Crickbuzz is not actually a sports streaming website, but you can definitely watch match-preview, funny moments, and post-match shows on Cricbuzz. 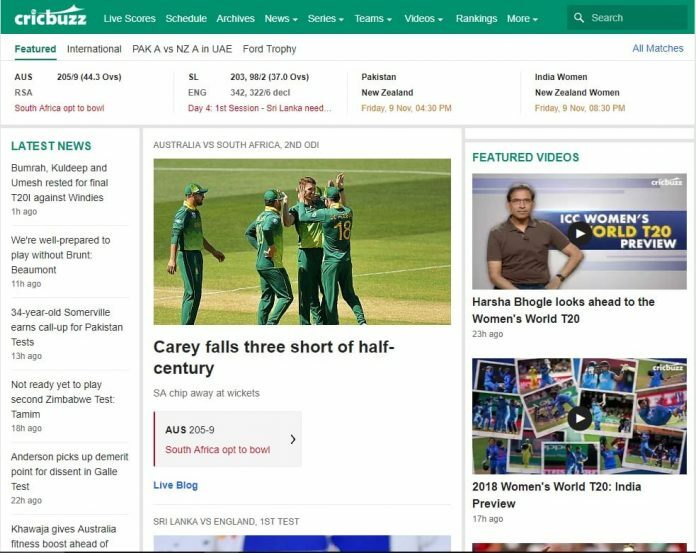 This popular website offers detailed updates and news about any cricket event happening on the globe. Overall, its a reliable website for getting fast score updates and works perfectly fine even on low-speed internet connection. 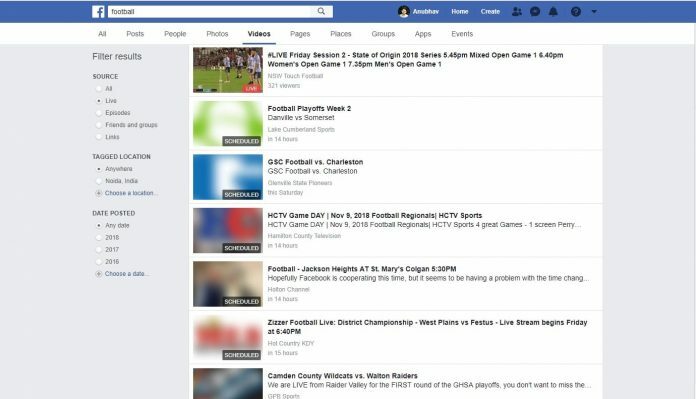 Yes, Facebook can be used as a free live sports streaming site. That said, it’s not possible to find all the sports and every single event on Facebook. So as to watch your favorite sport simply search it like “Football”. Now select the videos section. Furthermore, you can even enjoy live sports streaming by selecting Live in the source filter. Facebook has a very well developed video player that optimizes the quality of videos based on your internet speed. As mentioned earlier, you won’t be able to watch every sports event on Facebook. Reddit can also be used for watching free live sports streaming. 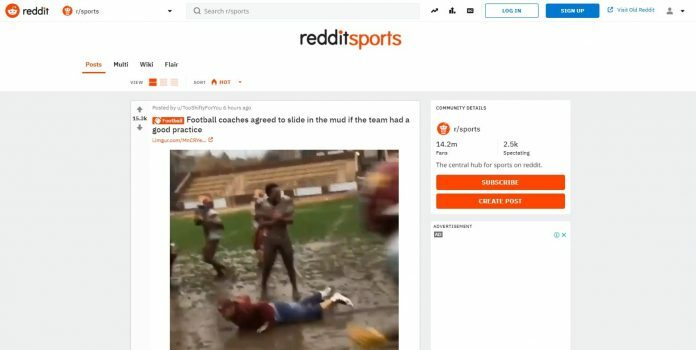 This popular social media service doesn’t host live sports stream, but you can definitely find unofficial links to stream sports events in different subreddits. Undoubtedly, there is a subreddit for almost every sport in existence. Users can easily share links to unofficial sources for watching every major sports event. As for downsides, not every link on the platform is reliable and some may even end up being an annoying advertisement. SonyLIV sports is another popular website for free live sports streaming and you can stream football, cricket, Tennis, Basketball, and WWE on it. Apart from sports streaming SonyLIV also has a dedicated section for sports event updates and news. Once you get the paid subscription the service offers personalized content. SonyLIV has a very well developed UI and the quality of videos is impressive as well. Apart from sports SonyLIV can also be used to watch movies and TV shows. Overall its a perfect website for streaming major sports events. The next best free live sports streaming website on the list is Fox Sports. Well, you can watch every major sports league on Fox Sports. Different sports or games have a dedicated section on Fox Sports. In addition to live sports streaming Fox Sports also publishes detailed sports news based articles. 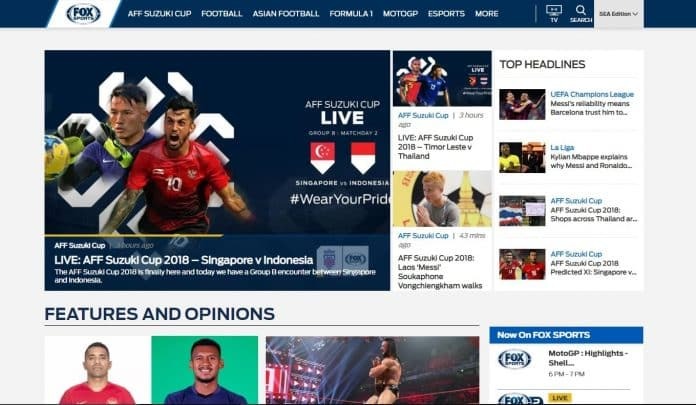 Fox Sports allows users to watch Football, Badminton, WWE, Motorsports, Tennis, Combat sports, Basketball, and many other sports. This sports streaming website offers reliable streaming speeds and the quality of videos is impressive as well. The last website on the list is not actually a sports streaming site but it can be used to stay updated about different sports. Yahoo Sports offers regularly updated scores for various international sports events. 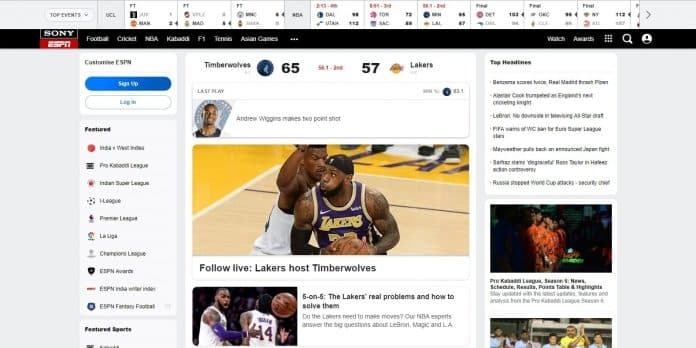 Using Yahoo Sports you can comment on different posts and even interact with other sports enthusiasts. Overall Yahoo Sports is a perfect website for those who don’t prefer sitting and watching sports. So these were some of the best sports streaming sites. You can easily stream your favorite sports event or check score updates using these websites. Do share any other reliable sports streaming site in the comments section below.